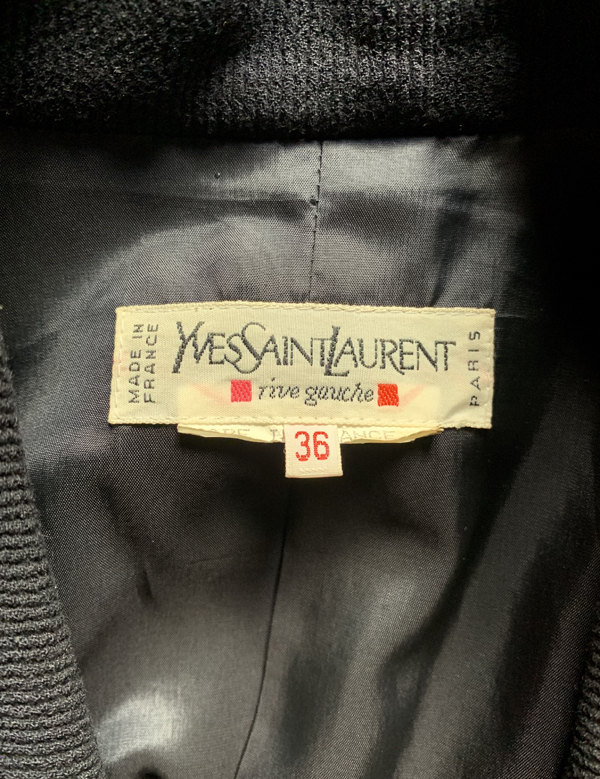 Love written all over this by Yves Saint Laurent jacket, perfect to celebrate this upcoming Valentine’s Day! Vintage from the late ’80s. 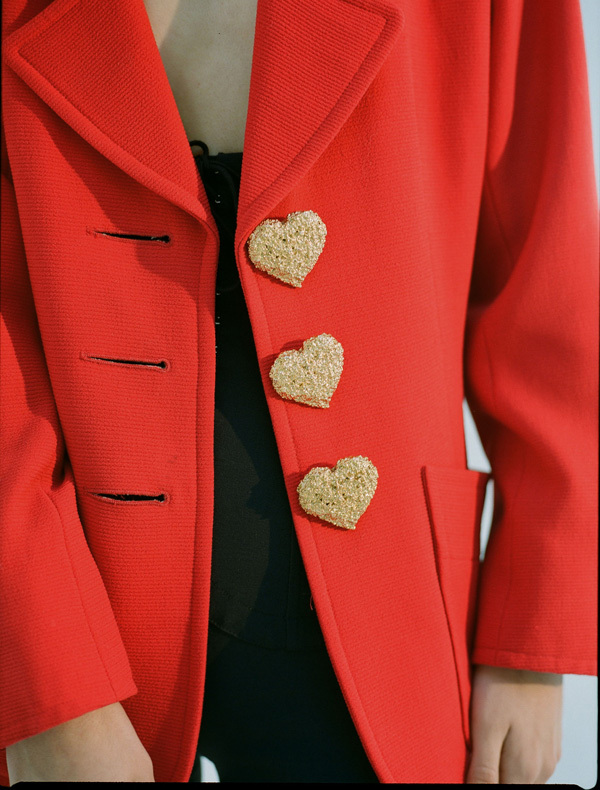 Structured fit with those XL golden heart shaped buttons, that turn the piece into an iconic and unique blazer. 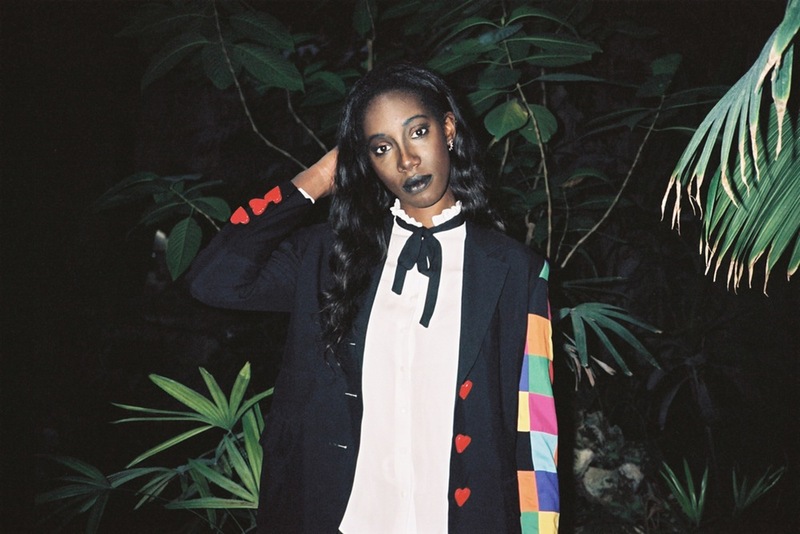 Please note: The red blazer is sold out. Currently we only have the dark blue (almost) black version. Email me if you would like more pictures of it! – Real size: Fits best for Small or Medium. EUR 38/40. – Bought in Spain from a private collection. Winter 2018.